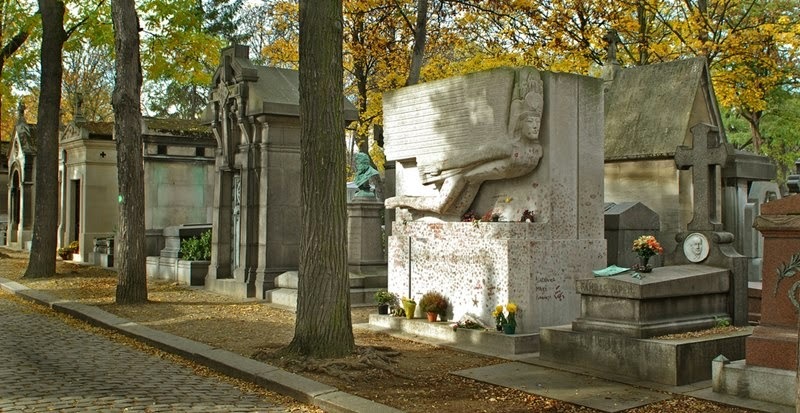 The memorial of the famous 19th century Irish writer and poet, Oscar Wilde, lies in Père Lachaise Cemetery, Paris, France. 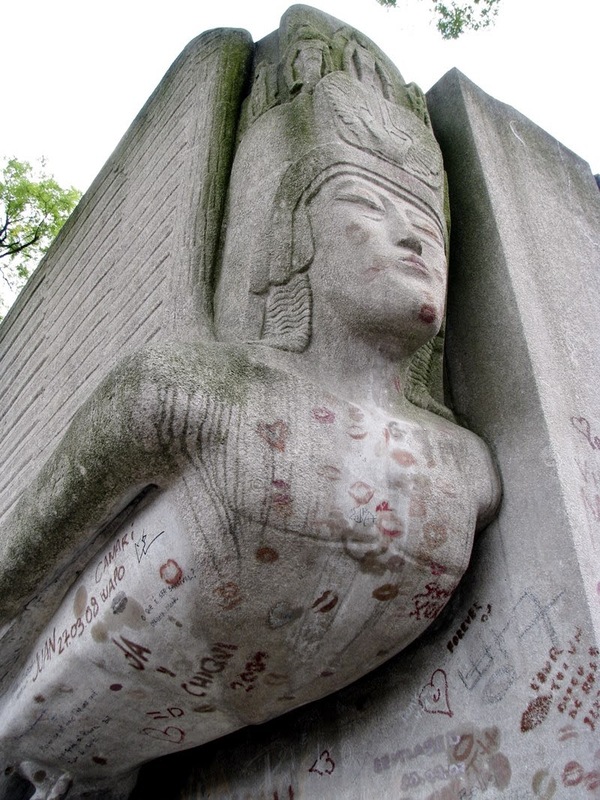 The memorial, sculpted from a 20-ton piece of Hopton Wood rock in Derbyshire, England, unveiled to the London press in June 1912, and covered with thousands of traces of red lipstick. What do you think, who is resting? 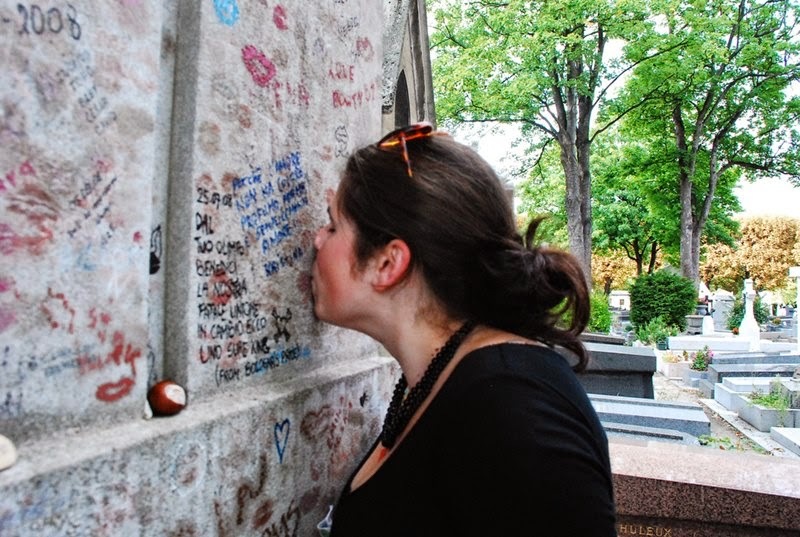 "A kiss may ruin a human life," Oscar Wilde once wrote. 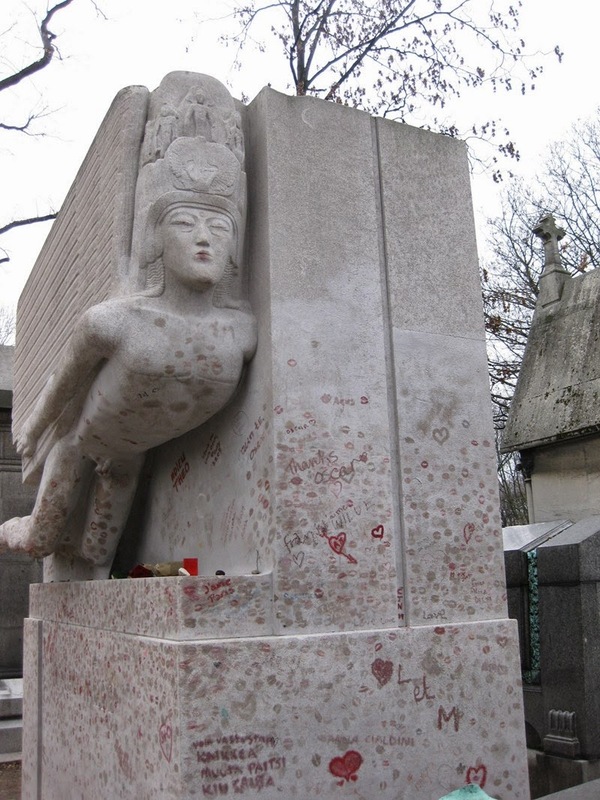 It can also ruin the stonework of a tomb, judging by the extraordinary graffiti – kisses in lipstick left by admirers – that for years have been defacing and even eroding the massive memorial to the Irish dramatist and wit in Paris's Père Lachaise cemetery. 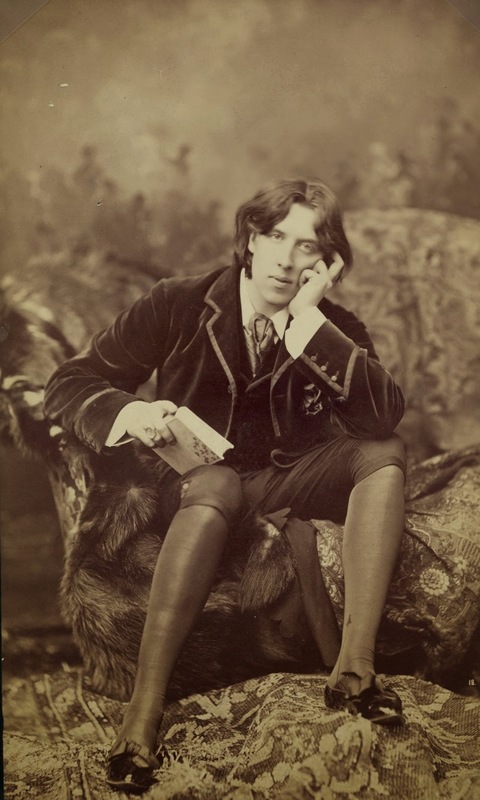 Wilde died in the city in 1900, aged 46. 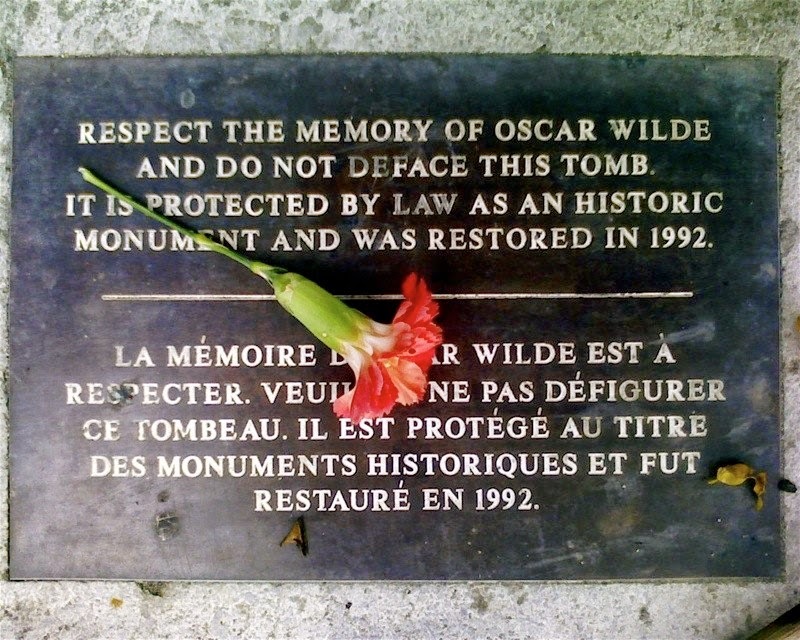 His restored tomb will finally be unveiled this week, newly protected from his devotees.For years visitors would confine themselves to leaving gently admiring billets doux dedicated to the creator of The Importance of Being Earnest and Lady Windermere's Fan. 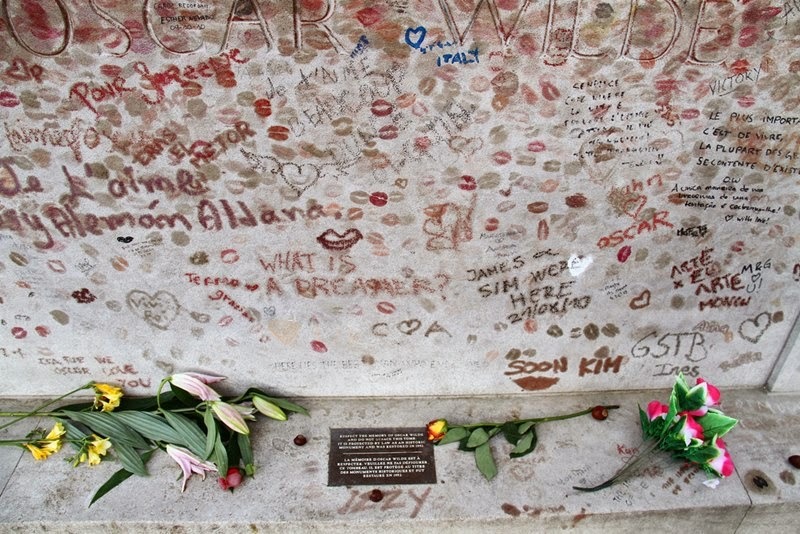 All that changed in the late 1990s, when somebody decided to leave a lipstick kiss on the tomb. 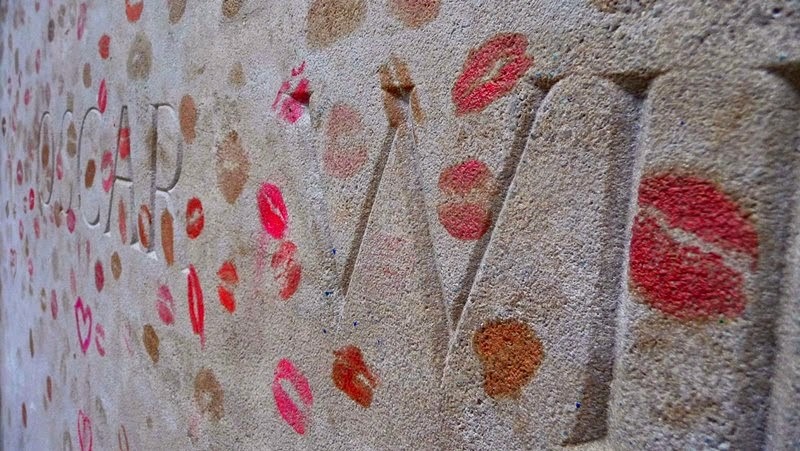 Since then lipstick kisses and hearts have been joined by a rash of red graffiti containing expressions of love, such as: "Wilde child we remember you", "Keep looking at the stars" and "Real beauty ends where intellect begins". Surprisingly, perhaps, most are written by women. 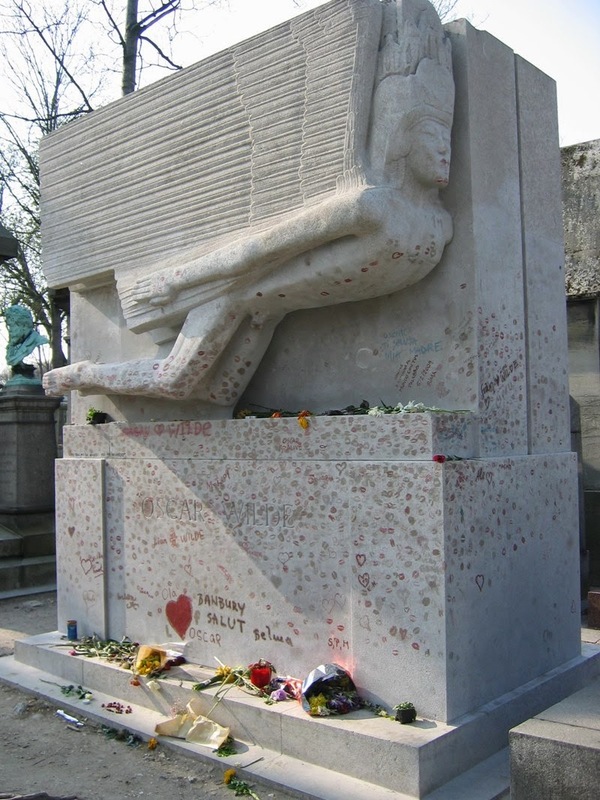 Merlin Holland, Wilde's grandson, said the lipstick had become a "serious problem" because the grease sinks into the stone. "Every cleaning was causing a bit more stone to wear away," he said. "No amount of appeals to the public did any good at all. 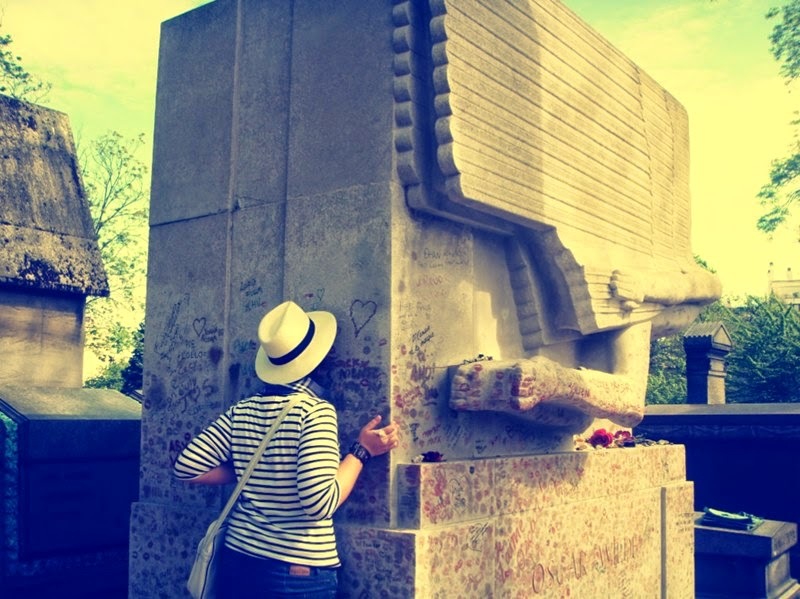 Kissing Oscar's tomb on the Paris tourist circuit has become a cult pastime, which is proving impossible to break. Even if one could catch someone in flagrante delicto – there is a €9,000 (£7,700) fine – most perpetrators are probably tourists, so they would be home before the French authorities could bring them to court. "From a technical point of view, the tomb is close to being irreparably damaged. Each cleaning has rendered the stone more porous necessitating a yet more drastic cleaning." 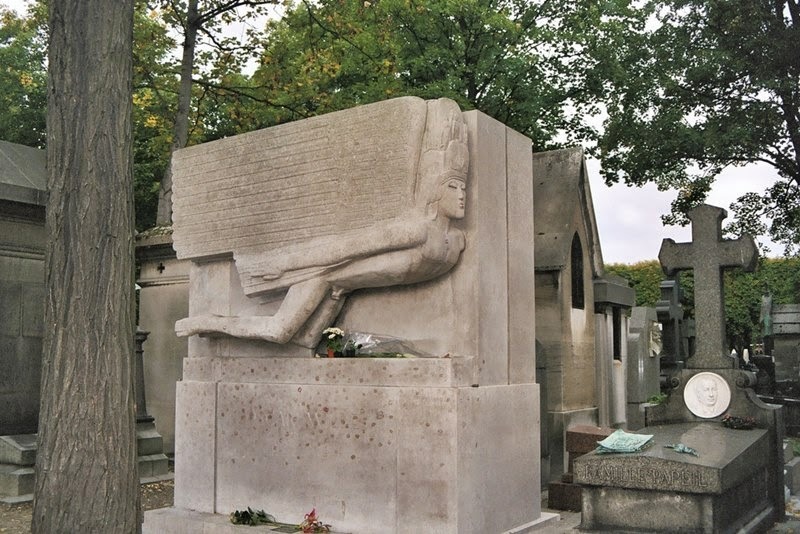 With the Paris authorities offering a fraction of the cost of preserving the memorial, the Irish have come to the rescue, paying for it through the office of public works in Dublin, which is responsible for a number of Irish monuments and buildings overseas. 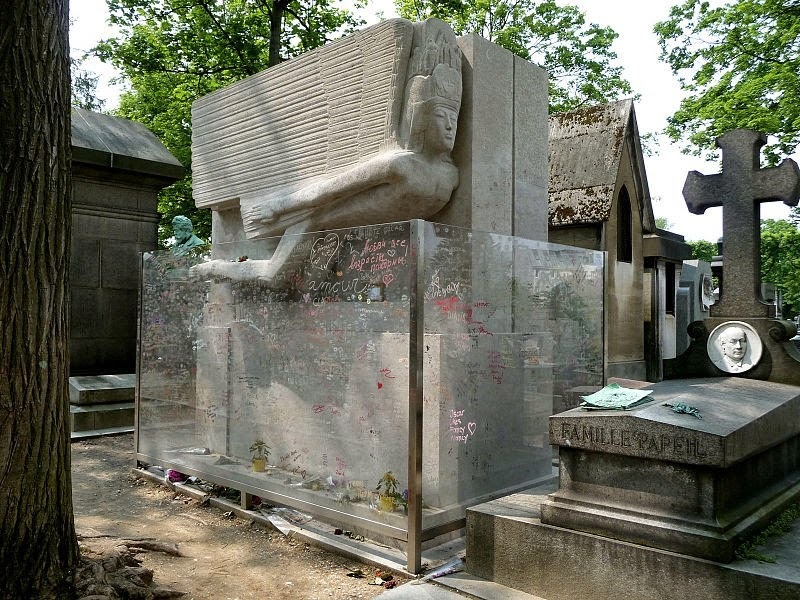 They have paid for a radical cleaning and "de-greasing" of the tomb, as well as a glass barrier which will surround it to prevent the kissers from causing further damage.